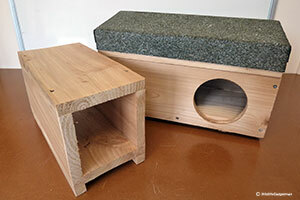 If you are looking for your first hoggie wildlife cam or want to add to your existing setup then you won’t go far wrong with the Handykam hedgehog den. Providing a home for hedgehogs in your garden is one of the most helpful things you can do to support our prickly friends. 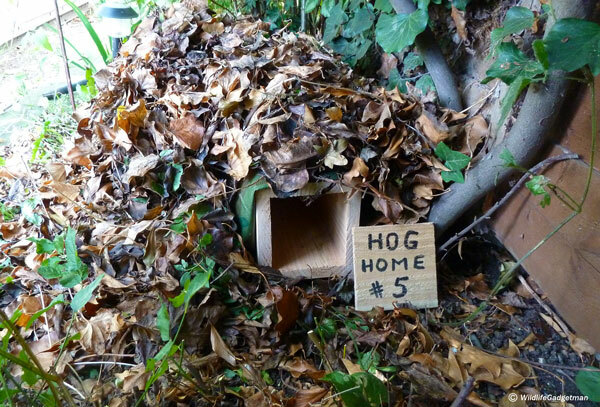 Imagine being able to see inside the hog home so you can watch exactly what the hogs get up to once they venture inside. 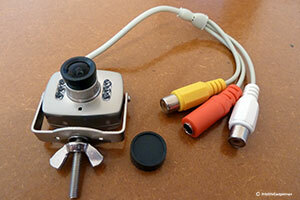 There are a number of ways to add a camera to your hog box (It’s easier than you think!) 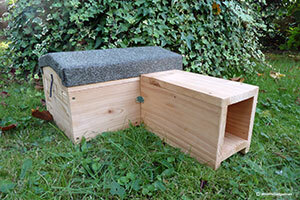 and there are also a number of complete Hedgehog Home Camera Systems now available to purchase. 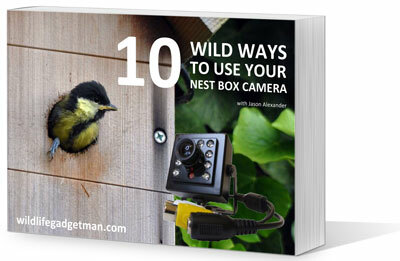 I’ve taken a closer look at one of those kits – the Hedgehog Den and camera system from HandyKam. The Handykam Hedgehog Den Camera System arrived in a compact plain brown carton (handy for those of you thinking of buying one as a gift) with the contents well protected inside. Everything was clearly labelled making it easy for even the most ‘untechie’ of us to identify each part. 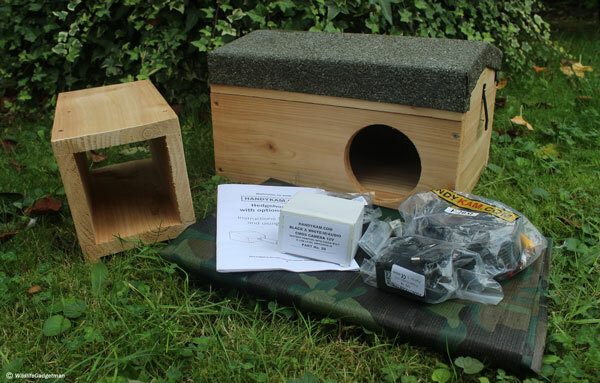 The package contained – the hedgehog den, a detachable tunnel, mini cctv camera and fixings, 20m plug and play cable, 12v mains adapter, scart plug and cable clips and a comprehensive user guide. 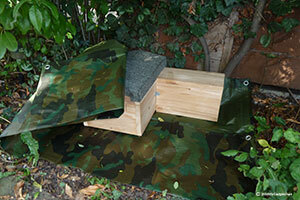 There’s even a large camo tarpaulin should you wish to add an extra layer of protection when you finally position your hedgehog den in the garden. 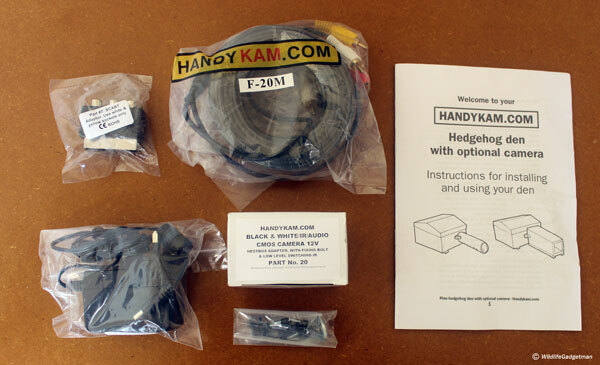 You can judge a lot about the quality of a product and the service you are likely to receive from the supplier by the quality of the instruction/user guide supplied and I must say, the Handykam user guide is one of the best I’ve seen. 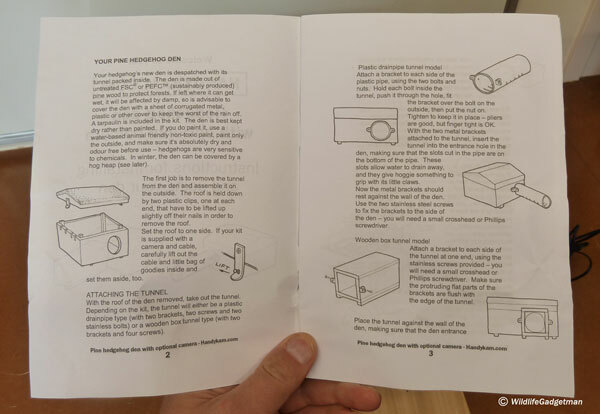 Inside the Instructions /User Guide you will find eighteen pages of useful information ranging from a description of each part of your kit, easy instructions about how to install and set up your camera kit and suggestions on where to site your hog den. There are even a couple of pages dedicated to general hedgehog information so this is one user guide that’s worth popping in a drawer rather than the waste paper bin when you’ve finished with it. The hog den and tunnel are made from 18mm thick cedar which, due to the natural oils in the wood, doesn’t need treating with preservative. 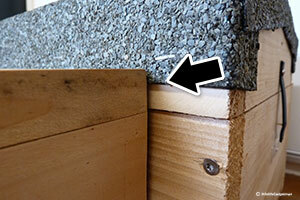 The roof is neatly covered with a layer of mineral felt offering an extra layer of protection. Both the box and tunnel have chunky spacer bars underneath to help with ventilation and protect the underside from the worst of the damp. 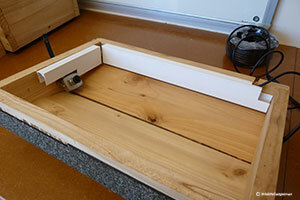 One of the first things that strike you about the hog box is its compact size. The general rule of thumb is that the sleeping area should be no larger than an A3 piece of paper and now smaller than A4. At slightly larger than A4, the Handykam hog den is just big enough in my opinion. 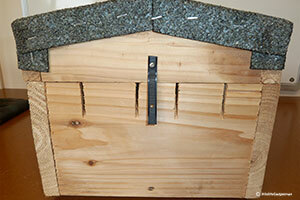 It should be fine as a place to sleep or hibernate but may be a little on the small side as a nesting chamber. There are two plastic strip fasteners attached to the roof which, on my demo box, didn’t properly clip over the pins on the body. This is a very minor issue as the roof is held in position by 4 small corner posts. I would argue that the plastic roof clips aren’t really required as they wouldn’t be man enough anyway to prevent a determined predator lifting the lid. Once properly postioned in the garden and covered in leaves, logs and twigs etc. the roof won’t be going anywhere. As the box is supplied with a separate entrance tunnel a couple of brackets and four fixing screws are included to securely fix them together. After trimming the roof felt everything lined up perfectly. 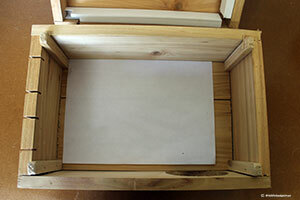 Once assembled the formally compact box covers a much larger area and will likely need more leaves and other material to cover it than a box with an internal tunnel. Each of the camera kit components are individually bagged and labelled. The camera is tiny! Its a 380TVL CMOS camera with built in low level IR (Infra Red) nightvison and microphone. It has a short wire attached with three colour coded connectors on the end – Yellow (video), White (audio) and Red (power). 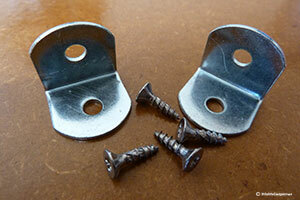 The fixing wingnut and bolt is also attached. There are two pieces of trunking on the underside of the roof to keep the cable and connectors tidy and away from any inquisitive hogs. There’s a pre-drilled hole on one end of the roof. This is for mounting the camera. Mounting is easy. Make sure you tighten the camera bracket screws slightly before fitting to stop the camera moving up and down once fixed in position. 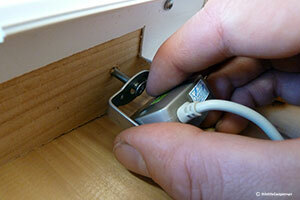 Once the camera was fitted routing the cable around the trunking was easy. 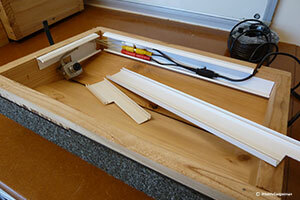 The trunking covers snap on in seconds. Time to move on to testing the camera. 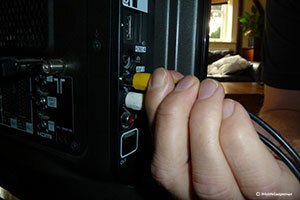 Connecting the camera to your TV is very straightforward. The well written instructions take you through every stage of the process. The team at Handykam seem to have thought of everything. They’ve even included a handy (no pun intended!) 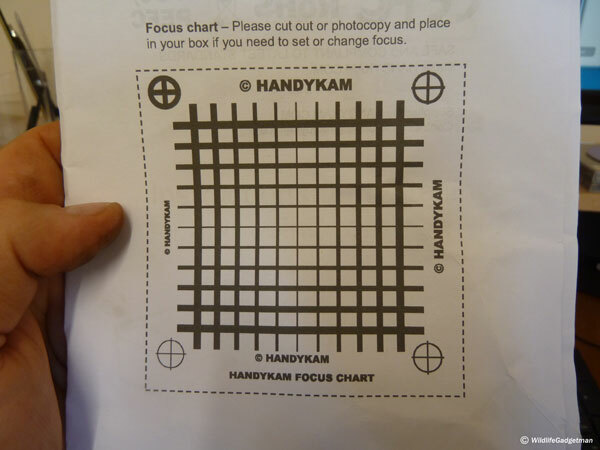 focus chart to help you get the best images possible from your camera kit. 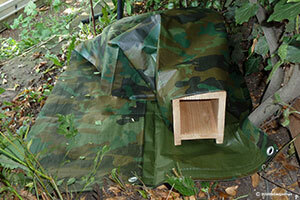 Following the suggestions in the user guide I found a quiet sheltered spot in the garden and positioned the box on the camo tarpaulin supplied with the kit. After adding a layer of leaves I wrapped the remaining tarpaulin over the the whole of hedgehog den leaving only the entrance exposed. Time for the final layer of leaves! The finished den! Now all we have to do is wait to see if we get any tenants! Overall I was extremely impressed. The user guide was excellent with plenty of practical and easy to follow information. I felt the hog den was a little on the small size (but still perfectly fine for most hibernating/sleeping hogs). 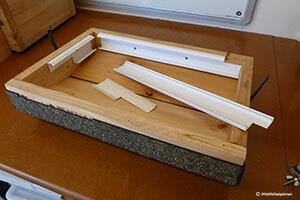 It was very well made using quality materials too. The camera kit, utilises an entry level camera that offers excellent images for the price. The complete Handykam Hedgehog Den Camera System is currently available for £66.95. A real bargain if you ask me! If you are looking for your first hoggie wildlife cam or want to add to your existing setup then you won’t go far wrong with the Handykam hedgehog den. RECOMMENDED.